Image caption: 'Marco Rubio' by Flickr user Michael Vadon license CC BY 2.0. Speaking today about the high school shooting in Florida, Marco Rubio rejected calls for taking legislative action in response, especially the idea that banning schools could have prevented it. Rubio said people who think reducing access to schools would reduce school shootings are kidding themselves. He did, however, advocate more focused thoughts and prayers to stop this from happening again. 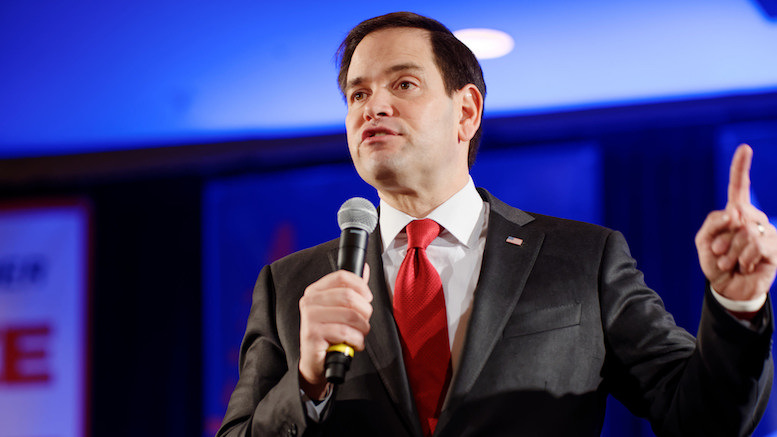 Be the first to comment on "Eliminating All Schools Will Not Reduce School Shootings Says Rubio"